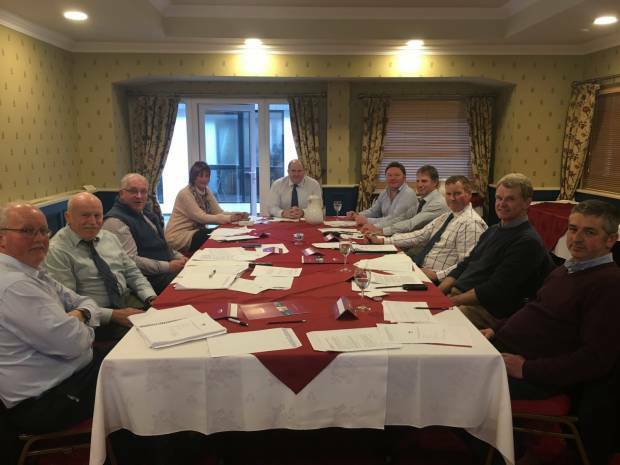 The NBA board met on Tuesday the 4th of December in Northern Ireland, after a very successful farm walk on the Monday evening held at David and Ken Martins Farm in Newcastle, County Down. This was the first NBA board meeting held in Northern Ireland, fitting at such an uncertain political time. One of the main topics of discussion was, of course, the current Brexit deal presented by Theresa May, which is currently being debated in Parliament. The NBA board feel that the present Brexit deal on the table containing a Back stop does not provide a successful solution for the issue of the Northern Ireland and ROI border. The Back stop cannot be cancelled unilaterally by the UK and it will prevent the formation of our own trade deals. It also has the potential to create regulatory problems for the trade between Northern Ireland and Great Britain, which is the biggest market for NI produce. The board of the NBA are disappointed that the use of present IT systems and processes alongside trusted trader status is not being further explored as a solution to prevent the Back stop, which is an issue within the present Brexit deal troubling many. If time is required for the introduction and trial of the necessary IT systems, to create frictionless trade between the EU and the UK the NBA would prefer to see an extension of the post Brexit transition period beyond 2020. The NBA believe an extension of the transition period would create a firm end date and be the best for both the EU and UK.